If you’re looking for refurbished cubicles for your office in the Orlando, Florida, area, there’s only one name to remember – ROF. 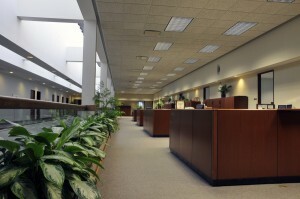 Since 1991, we have been the trusted source for top-quality used and refurbished office furniture. We have a 140,000-sqaure-foot warehouse that is constantly filled with our rotating inventory, so we’re always able to give our customers a wide range of choices and help them select just what they’re looking for. We have an in-house refurbishment team that is able to slightly customize the cubicles to suit your liking. For example, we’d be happy to change the color or height of the panels. Moreover, our trusted installers will be able to assemble and wire your cubicles right in your office, so your business will be able to get back to work in no time. If you would like to inquire about the refurbished cubicles we currently have available, contact ROF today. We proudly serve businesses throughout the Orlando, FL, area.